Everything but the Kitchen Sink prints are versatile classics, sure to delight quilters. 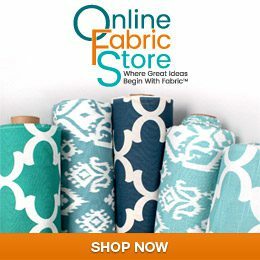 OFS has many new cotton prints that are excellent for quilting and crafting. The delightful Everything But the Kitchen Sink floral prints are great if you are seeking small prints. These attractive prints are fresh, but with a hint of nostalgia; they remind me of classic calico quilting fabrics from the 1920s and 1930s. Quilters, you will find a wide variety of use for these prints. Take advantage and stock up while they are on sale. These pretty prints are also excellent for little girls’ clothes and for many crafts. I love these Kim Martin Christmas prints. If you are hunting for Christmas quilting fabrics, OFS also has some beautiful Kim Martin designs. Beautiful American Flag theme prints by Dan Morris are great for any time of the year. If your quilt has a patriotic theme, you will be pleased to find these patriotic prints by Dan Morris. These Dan Morris Military prints are great for veterans. Dan Morris and Debra Grogan Halloween prints. OFS has also added some great Halloween prints. Stock up for next year.